Picture week at the studio is an exciting time of year. For dancers who don’t compete, it is typically the first time seeing the dancers in costume with their hair and make-up done. Here are a few tips to help your picture week experience go smoothly for you and your dancer. If possible, get these from your studio in advance. Look at the package options, think about your budget and fill them out ahead of time. This will be one less thing you have to worry about on the actual picture day. Some studios have pictures set up so you may preview the pictures and place your order. To keep things moving along and to keep your budget on target, make a list of the photos you think would like – group shots, individual shots, etc. Make sure you have your accessories for each costume, the costume itself, the proper tights and shoes put together the night before pictures. A simple way to keep up with costume accessories is to place them in a ziploc bag and insert the top of the hanger through the plastic bag. Also, don’t forget to label all of the items. Quick changes can sometimes lead to things getting mixed up between dancers. If you are trying a new style or putting your child’s hair up for the first time, allow extra time or make sure to do a test run prior to picture day. There is nothing worse than thinking you have it all figured out only to find out that it takes longer to do than you thought and you need to be at the studio in 30 minutes. Also, if you are changing hair styles for different pictures, plan in advance if it is doable with amount of time you have to change hairstyles between pictures. A stressed out dancer will not present her best self for the photographer. If you are applying makeup to your dancers face for the first time, be prepared for the possibility that they may love it or they may resist a bit – particulary with mascara. 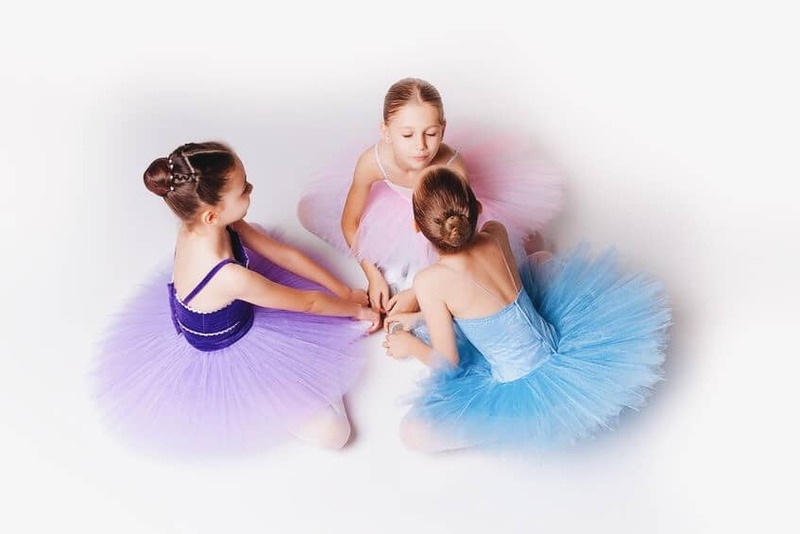 If it is not a pleasant experience for your child and your studio is flexible about how the dancers look in their pictures, there is always the option of going without makeup or applying just a little. Again, allow some extra time to keep this process as enjoyable as possible for everyone. Arrive at the studio a few minutes early. This will help the photographer stay on schedule, which will allow everyone to get in and out in a timely manner.